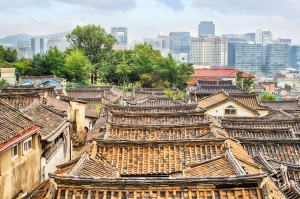 Seoul, the capital of Korea, is arguably the most popular tourist destination in all of Korea. Packed with countless sights to see and places to visit, such as ancient palaces, traditional markets, and high-end shopping districts. 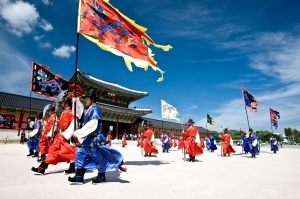 If you think you might not know where to start, don't hesitate to book this tour to visit Seoul's most famous attractions. 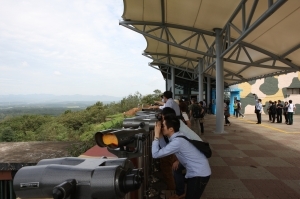 N Seoul Tower was the first tower-type tourism spot in Korea. 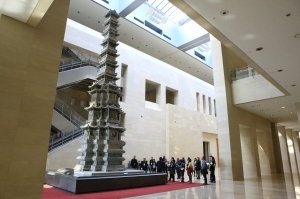 It is one of the tallest towers in the Orient. 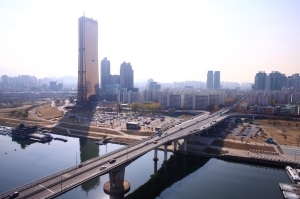 Yeouido Hangang Park is one of popular course for a walk and family outing. Park formed naturally through rich silt that flowed in from the upper Hangang River that was then filled with reeds, creating an ideal habitat for groups of migratory birds. 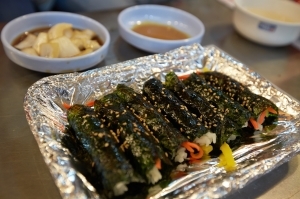 Hongdae Street is known for its youthful and romantic ambience, underground culture, and freedom of self-expression. 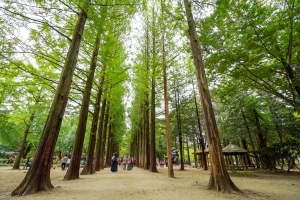 Namiseom Island is famous for its beautiful tree lined roads. 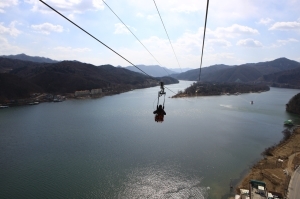 Since it is not far from Seoul, many couples and families come to visit. 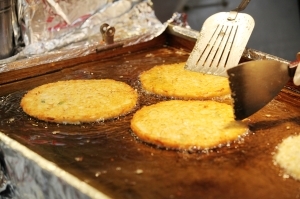 Seoul Bamdokkaebi Night Market, visitors to the night market can enjoy foods from around the world, shop for unique handmade accessories, and watch various cultural performances. 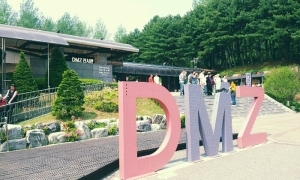 DDP(Dongdaemun Design Plaza) holds various exhibitions, fashion shows, forums, conferences, and other domestic and international events. 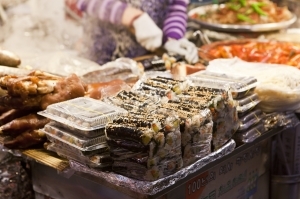 Dongdaemun Market is one of Korea’s most well-known markets. You can find fabric and clothing following all the latest global fashion trends. 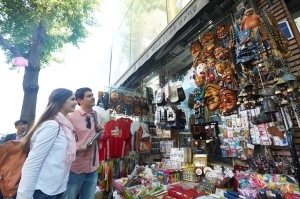 Insadong is where old but precious and traditional goods are on display. Within these alleys are galleries and traditional restaurants, teahouses, and cafes. 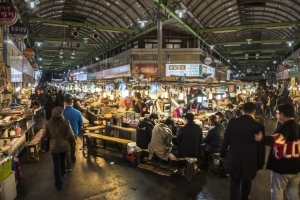 Namdaemun Market is the largest traditional market in Korea with shops selling various goods. 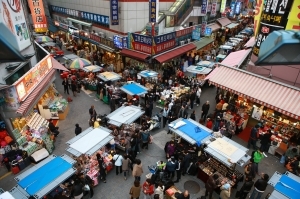 Myeong-dong is one of the primary shopping districts in Seoul. Many brand name shops and department stores line the streets and alleys. 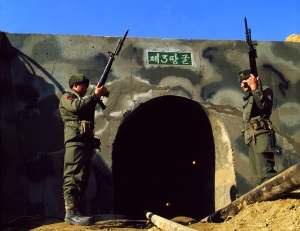 NANTA is one of Korea's top performances. 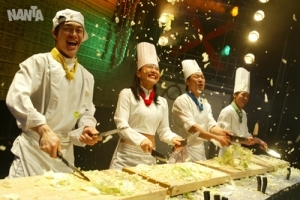 The plot is depicted through various genres of performances, including percussion that uses kitchen utensils to make beats based on traditional rhythms of samulnori (traditional percussion quartet).